More than twenty-five thousand people are working in the Facebook. 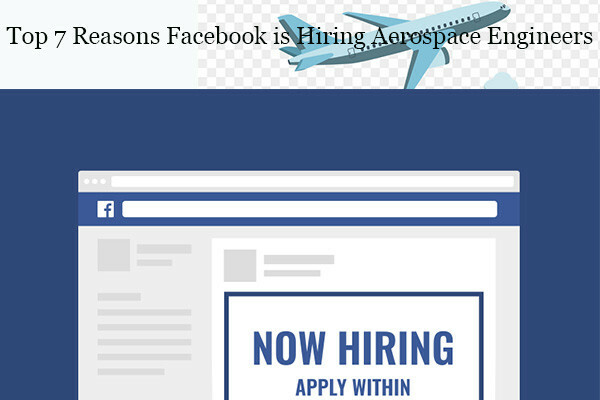 As we all know most of the technical employees were from computer science background.But, now Facebook is hiring aerospace engineers. The good news is coming out for aerospace engineers that Facebook is hiring aerospace engineers for their dream project to bring global internet access. The drone called Aquila has done a successful test flight. Facebook is planning to implement the project in all areas in the world which are not connected to the internet. Recent news shows facebook will hire more aerospace engineers for implementing this project. 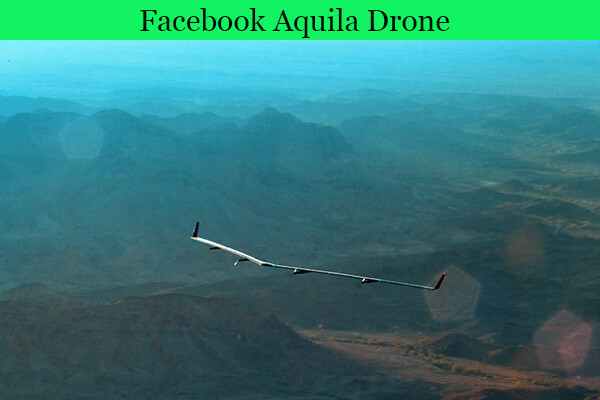 After the test flight of Aquila, Facebook published some challenges faced by them during the design and development of the unmanned aircraft. Facebook needs to hire more aerospace engineers to overcome these challenges. Aquila is a solar-powered unmanned aircraft required to works 24 hours and flies without landing for three months. Aquila needs to operate in adverse conditions like winter, nighttime etc. Now the power collecting by the solar panels is almost equal to the required power to operate the systems like propulsion, lights, heaters, communication devices. During winters the Aquila require a long battery backup. Now half of the total weight of the aircraft is occupied by the batteries. The aerospace engineers at Facebook are now developing high energy density batteries with less weight. Avionics experts from aerospace background need to be hired for this. Aquila has a wingspan of Boeing 787 and weight of glider plane or a car. This huge difference in the ratio between weight and surface area gives a low speed of 25 miles per hour at sea level. This is a unique challenge for aeronautical engineers. The objective of the project is to provide affordable internet to everyone. But the cost of the project is increasing while developing the technology. So the development of a product with less maintenance cost and less human supervision is required for the success of the project this is another challenge faced by the developers. As per the numbers revealed by the facebook, there are 1.6 billion people live in a region which doesn’t have access to the internet. Connecting these remote areas with existing technologies like optical fiber or microwave towers is very expensive. So Facebook started this project as a part of their internet.org to provide affordable internet to all people. The project is for providing internet connectivity to the rural part of the world. For this project, Facebook developed a full-scale drone codenamed Aquila. Facebook is hiring aerospace engineers to develop the technology and they may have the plan to produce more drone for the purpose. Aquila is a solar-powered drone which will have a capacity to fly without landing for three months. It flew for 96 minutes in its test flight. Facebook’s aeronautical platform’s director Gomez said that they were planning for a thirty minutes flight but they just extended the flight time. The first flight took place on June 28th, 2016. The drone will beam laser to transfer data to ground stations. For large land areas, a linked network of drones will be used. The aerospace engineers at Facebook are trying to increase the endurance of the drone. These drones will stay at an altitude of 60,000 feet at daytime. The weight of the drone is one of the major issue facing the engineers. The Aquila drone has a wingspan greater than Boeing 737 but it weighs less than 459 kg. The body of the aircraft is made up of carbon fiber composite. The developers are trying to make it lighter. Another big challenge is the speed of the aircraft. Apart from the traditional concepts, Aquila should fly at a low speed as possible for its unique purpose. Similar problems are facing in altitude, communication, and a load of the aircraft. The aerodynamics of the wing should be compactable with high, cold altitudes and lower, warmer altitudes. The half of the weight of the aircraft is its batteries and it also needs to carry heavy communication devices. Not the only facebook is hiring aerospace engineers, Google also has the similar project going on. Google has a plan to extend the internet connectivity through flying drones and balloons. The recent Trent in the internet sector will increase the demand for aerospace engineers around the world. Facebook and Google are already on the way of developing internet connectivity technologies. They had already started hiring aerospace engineers for these projects. We can expect other internet service providers and technological giants in the world will start following the trend. However, the Facebook and Google may be trying to extend their service by providing internet on a free basis or affordable cost for everyone. But we can say undoubtedly that they are helping the world by developing new technologies and will make communication easier. 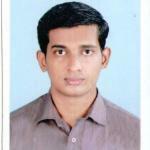 Unnikrishnan V is an avid regular writer at KEYSHONE. He is an Aeronautical Engineer from Kerala.He has a bachelors degree in aeronautical engineering from Anna University, Chennai. He is an amateur astronomer and very interested in astrophysics. Designed and Maintained by Keyshone.com and Keyshone Founder	.